Taco Belvedere: "master of comedy" my second print and first gig poster! "master of comedy" my second print and first gig poster! 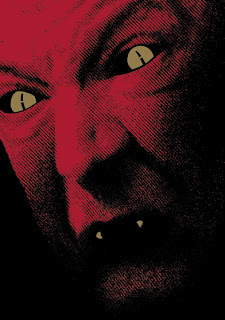 I collaborated extensively with Danny Ross and Jim Norton on my second print and very first gig poster! Danny brought me in and I happily took on the challenge. We went through a lot of subtle variations on this same image, and I couldn't be happier with how it all turned out. Danny and Jim were great collaborators and every version looked better than the last. It's 18x24, 2-color, red and gold metallic inks on black paper. Printed by Martin Hammond at P&L, so you know it'll look amazing in person. 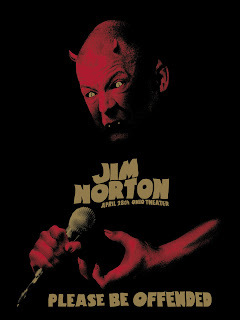 Jim Norton will be signing every copy, but only the AP copies I'm selling will have my signature. There simply wasn't enough time to ship them back and forth. Even more info as to where to pick up a copy at Inside the Rock Poster Frame.